The Hearing Room operates on this fundamental premise: that the creative spirit is the best of humanity, it exists in ever...yone and there is never enough of it around. Its mission is to promote creativity in all of its forms. Come on down, hang out, art is always happening! We are located in Lowell, MA at 119 Chelmsford Street and iare actively seeking creative collaborators of all stripes to participate in improving the space and to host events, give classes, lessons, sell art, you name it! We will host events every night: music, poetry, theatre, film, etc. The space also functions as a working space for artists and a bookstore. Sunday afternoon board games will be coming soon. We are open from 6-10p Tuesday to Friday at present, 1-10 on Saturdays, and plan to be open daily in the future. For now folks can bring their own snacks and beverages. The Hearing Room does not seek to make a profit and cost of attending events and/or using the space will be kept very affordable! We also wish to respond to the needs of the community and your ideas are welcome. We are looking to turn The Hearing Room into a Co-Op and are actively seeking collaborators. Hi, everyone. Thanks to all the heartfelt comments and donations. 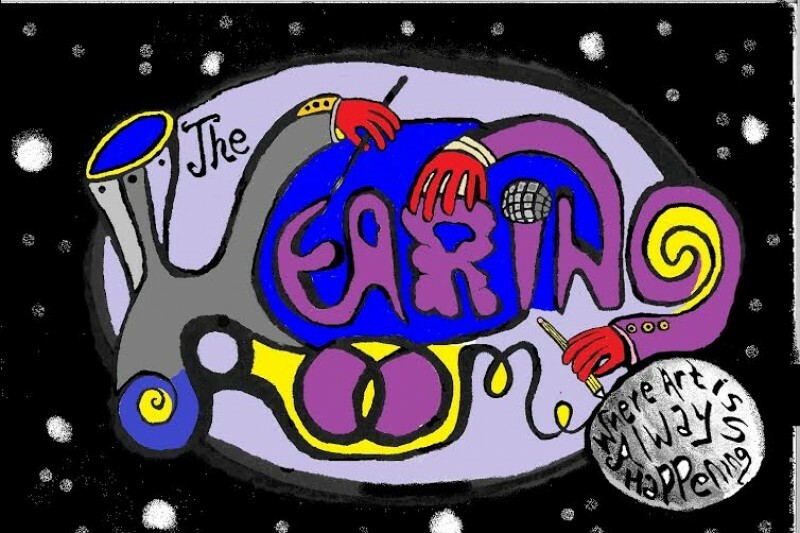 The Hearing Room is having a successful open house event this week 2-9 through Sat the 11th, meeting lots of creative folks who wish to be involved. Looking to fill up the calendar with events and participation at all levels! Come on down and see what's happening. We're moving forward and will be opening mid June. Thank you for all your generous donations. Thanks for all the generous donations so far! Projected opening date is June 15th. I'm in the process of purchasing a sound system and gathering the materials to build a stage. You guys rock.